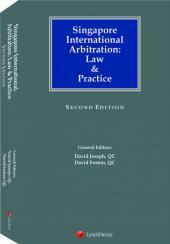 "The result is a remarkable commentary that embraces the entire spectrum of international arbitration practice the coverage is both comprehensive and accessible; and the chapters are written with authority and insight. To that extent, it allows an abundantly clear understanding of how best to navigate international arbitration disputes in Singapore. 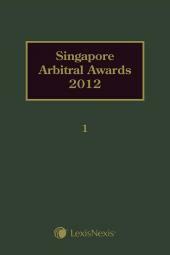 This book ought to be an essential companion to all who have an interest in the practice of international arbitration in Singapore." 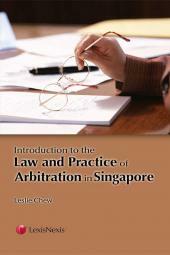 This will serve as a comprehensive commentary on the current state of international arbitration in Singapore. Singapore, having adopted the UNCITRAL Model Law and a party to the 1958 New York Convention and having a strong tradition of the rule of law, is growing rapidly as a centre for International Arbitration. Constantly ranked top in international surveys, the Singapore International Arbitration Centre's caseload had increased rapidly in the past decade. 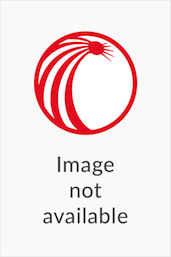 This book gathers the leading names in international arbitration and each have contributed to a topic of discussion covering various aspects of international arbitration in Singapore.